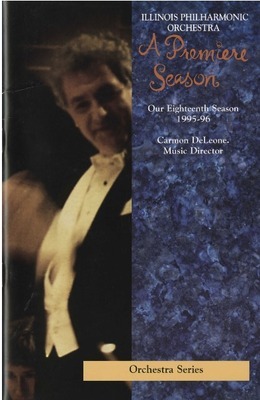 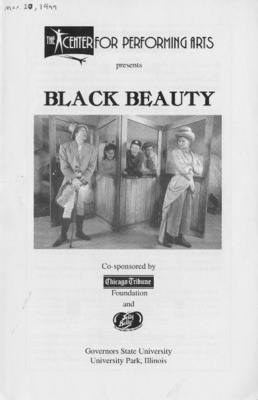 Program for the March 20, 1999 performance of Black Beauty. 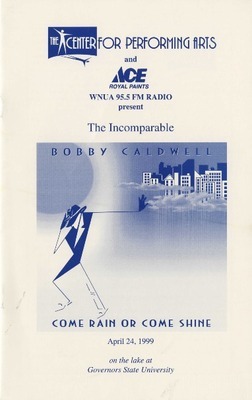 Playbill inserts for the April 24, 1999 and September 23, 2000 performances by Bobby Caldwell. 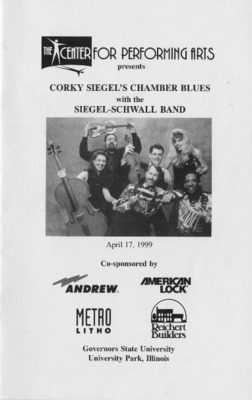 Playbill insert for the April 17, 1999 performance by Corky Siegel's Chamber Blues with the Siegel-Schwall Band. 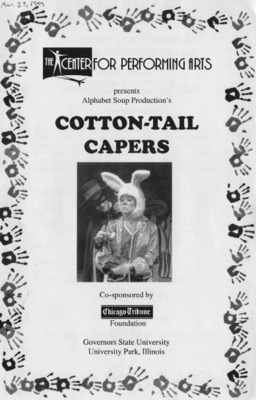 Program for the March 27, 1999 Alphabet Soup Production of Cotton-Tail Capers. 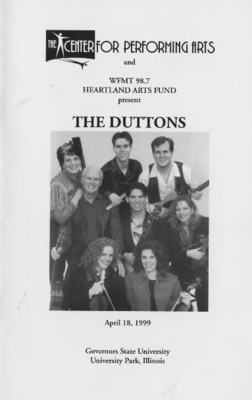 Playbill insert for the April 18, 1999 performance by The Duttons. 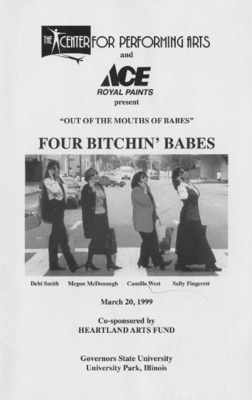 Playbill insert for the March 20, 1999 performance by Four Bitchin' Babes. 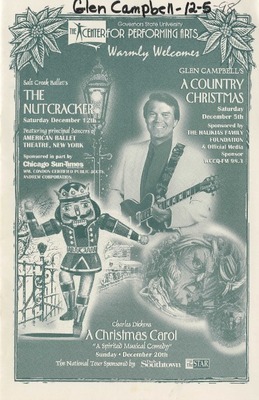 Playbill insert for the December 5, 1998 performance of A Country Christmas by Glen Campbell. 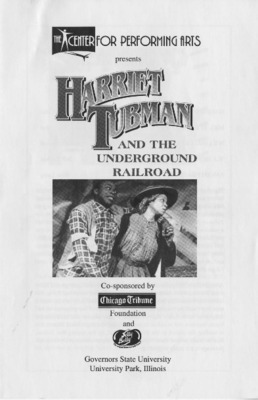 Program and promotional material for the January 22, 1999 performance of Harriet Tubman and the Underground Railroad. 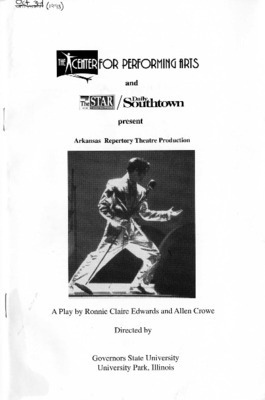 Playbill insert for the October 3, 1998 performance of Idols of the King, a play by Ronnie Claire Edwards and Allen Crowe performed by Arkansas Repertory Theatre. 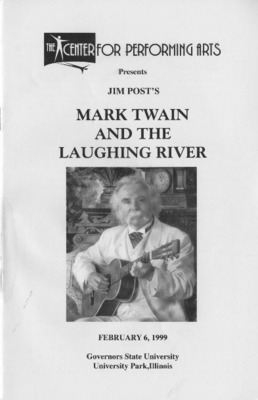 Playbill insert for the February 6, 1999 performance of Mark Twain and the Laughing River by Jim Post. 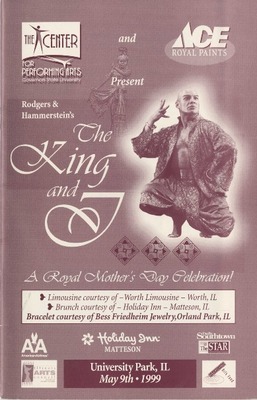 Playbill insert for the May 9, 1999 performance of The King and I.
Playbill insert for the September 27, 1998 performance by The Lira Ensemble. 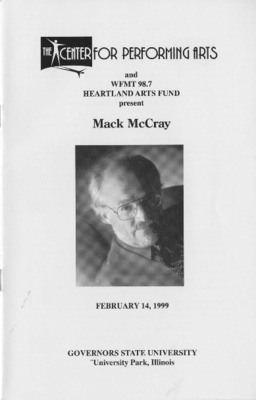 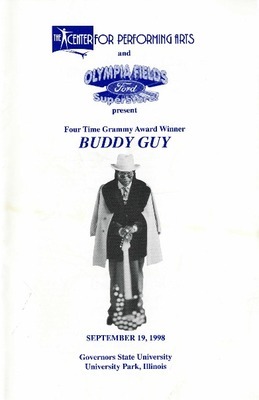 Playbill insert for the February 14, 1999 performance by Mack McCray. 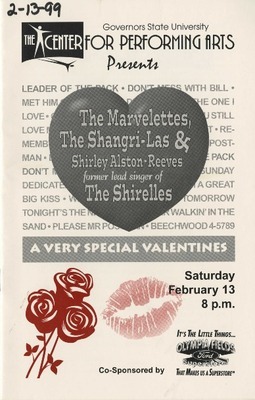 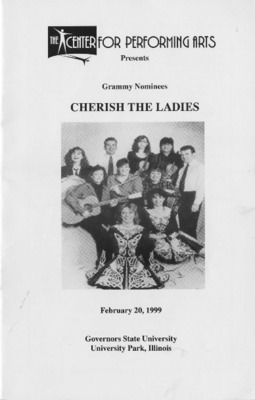 Playbill insert for the February 13, 1999 performance by The Marvelettes, The Shangri-Las & Shirley Alston-Reeves. 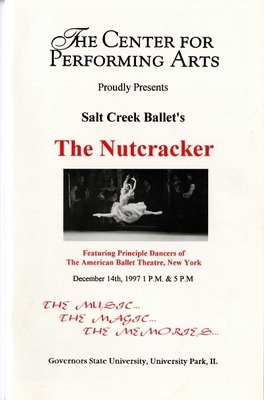 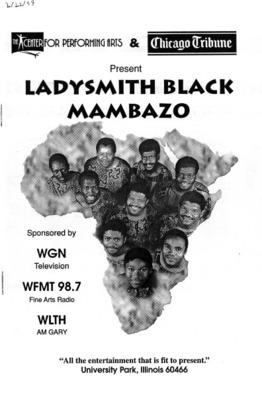 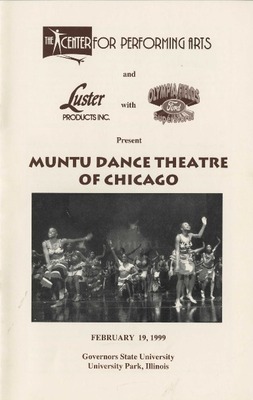 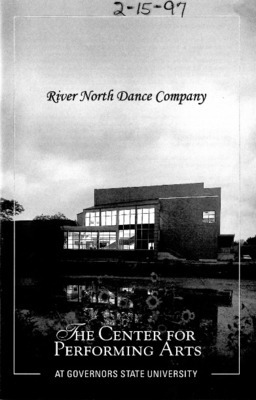 Playbill insert for the February 19, 1999 performance by the Muntu Dance Theatre of Chicago. 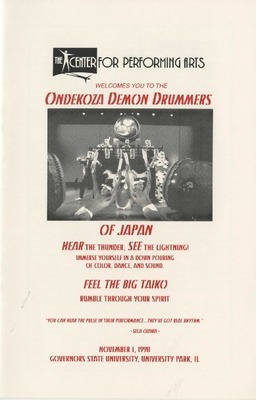 Playbill insert for the November 1, 1998 performance by the Ondekoza Demon Drummers of Japan. 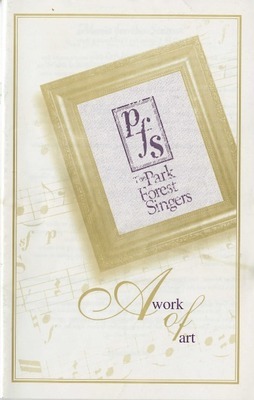 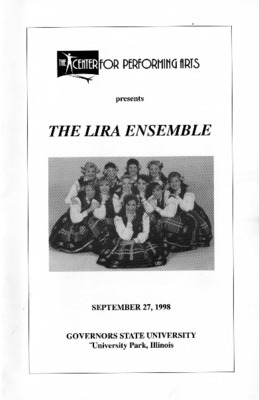 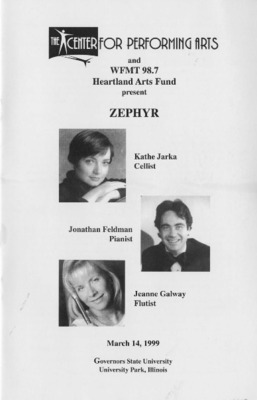 Program for the June 13, 1999 performance by the Park Forest Singers at Governors State University's Center for Performing Arts. 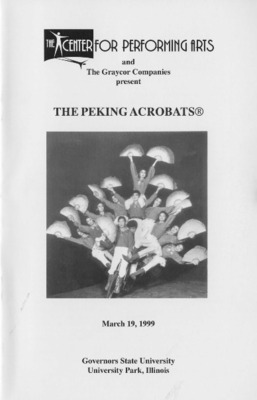 Playbill insert for the March 19, 1999 performance by The Peking Acrobats®. 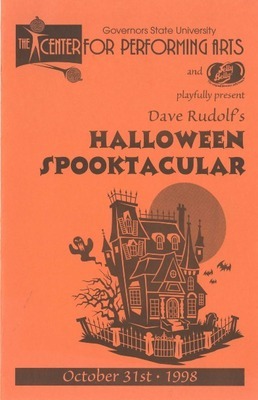 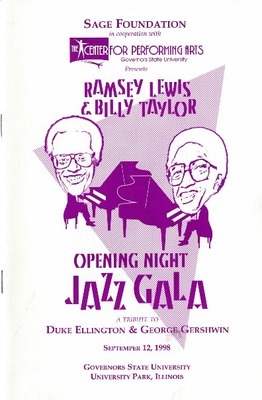 Playbill insert for the October 11, 1998 performance by Philadelphia Brass.